First I have to say, that I use VSTS daily and I don't hate it. It has really cool features like great support for deployment options. However there are few big things that really screws the whole user experience. I hope raising these problems will push the development into right track. VSTS have split things into three big categories. 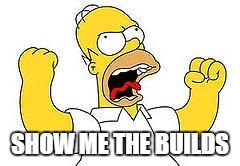 Build, release and deployment. Build and release is split into build definition and release definition. The funny thing is that release definition defines where your software is deployed. - Deployment settings are defined in release definition, but release is not a deployment. Why don't just create a deployment definition? - When you click that huge Releases link from top menu, you are taken into page which shows topic "All release definitions" and smaller topic "Releases"(???) and under that is list of releases. 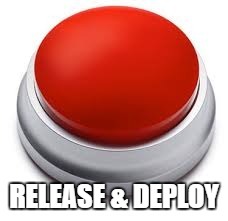 I understand the separation between release and deployment, but what really boggers me here is the way how release and deployment are coupled. They are not independent like build and release are, but they are not coupled totally. I will go through one more example to summaries what is really wrong with VSTS. Creating new release, and deploy that into test/prod environment. This should be like number one feature in VSTS. 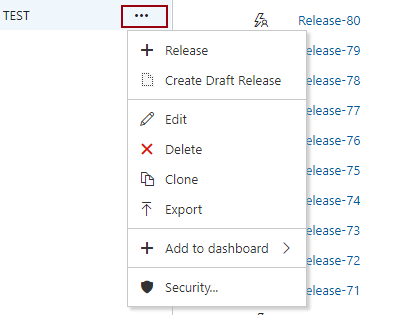 There should be big red button with text RELEASE AND DEPLOY, which does this. Well it's surprisingly hard. Click (3) ... button next to release definition name. When dialog opens, click (5) Release. So 5 clicks, two page loads and one dialog to create a new release & deployment. It might not sound much, but when all the major features are hidden like this, its starts to frustrate. If you have associated with a source vault benefit with the wrong record, you should go to your client settings in the source facilitating administration and repudiate the Oauth token physically. I find a very good website for the VSTS Build Monitor , you can visit this site.